Mary is without doubt one of the loveliest characters in the whole of Scripture. Like her husband-to-be, Joseph, she appears to have been of lowly station, and was in the line of descent from King David. The fact that she was chosen by God to be the mother of Jesus implies that she was one of the most devout and favoured of all women. The sudden appearance of the angel Gabriel greatly troubles Mary, but he soon calms her fears and makes the announcement that she shall have great honour—and also great sorrow—in being the mother of the incarnate Son of God. After enquiring as to how this prophecy will be fulfilled, as she is unmarried and a virgin, Mary humbly accepts her high calling despite the problems it will cause both to her and to her espoused husband, Joseph. Mary has been called ‘the first lady of Christendom’. Some tend to make too much of her, others too little. 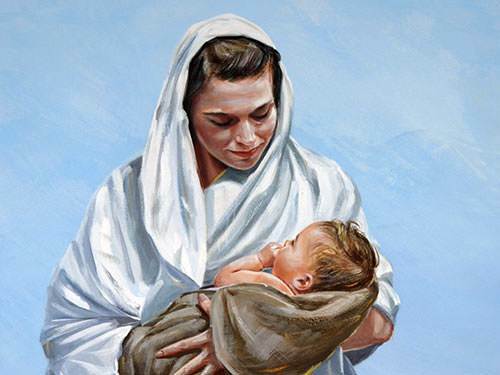 Take a moment today to ponder on the hallmarks of this fine and devout woman, and give thanks to God for the part she played in being the mother of our Lord. 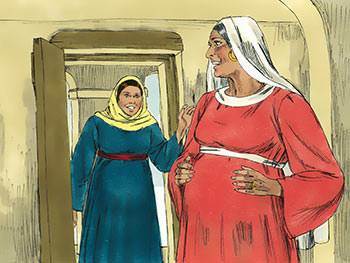 Having been told by Gabriel that her elderly relative Elizabeth is also miraculously expecting a baby, Mary leaves Nazareth in a hurry to visit Elizabeth at her home in Hebron. As soon as Elizabeth greets Mary, the baby in Elizabeth’s womb leaps at the sound of Mary’s voice, which occasions Elizabeth to break forth in the inspired words: “Blessed are you among women, and blessed is the child you will bear!” Mary responds with a hymn of praise to God—now often referred to as ‘The Magnificat’—which Luke records in full. 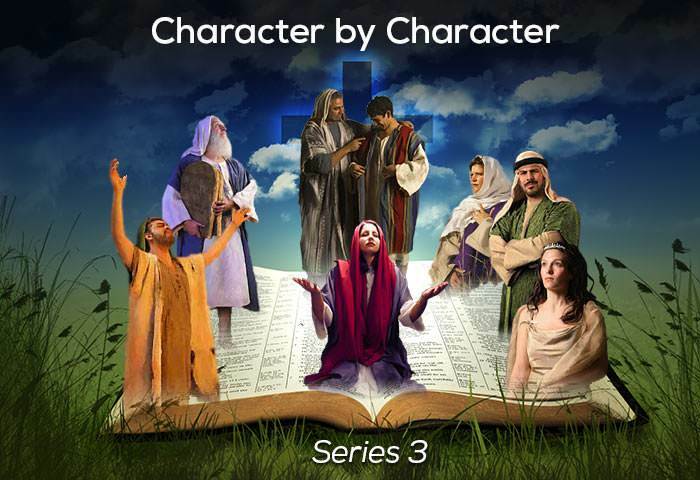 Mary stays with Elizabeth for three months before returning to Nazareth, and finds that in the meantime Joseph, too, has been visited by an angel, who assures him that God is at work and that he should not continue with his plan to divorce Mary for unchastity. Can you imagine what relief this information would have brought to her? Mary’s inner feelings are impossible to fully understand or analyse, because they were unique. She responds to the situation, however, with gratitude and praise. It demands great spiritual maturity and love for God to turn every occasion into praise. Have you arrived at that stage in your spiritual life yet? Here Luke gives a brief account of the early life of Jesus, and shows how God’s hand was upon Him in those important developmental years. 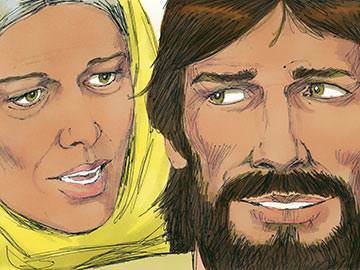 As He grew in physical size and stature, however, it must have been obvious to Mary and Joseph that He had a spiritual perception that was much greater than they could ever have imagined. 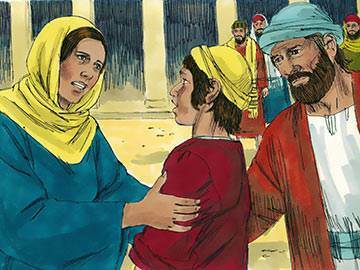 Their awareness of this quality comes to a head when He is twelve years old—His bar-mitzvah, or coming of age—when, after reprimanding Him for not keeping up with them when they left Jerusalem to return to Nazareth, He says, “Didn’t you know I had to be in my Father’s house?” Mary recognises that something unique and divine is happening in Jesus’ life, and although she cannot understand it (v. 52), she meditates much on it in her heart. 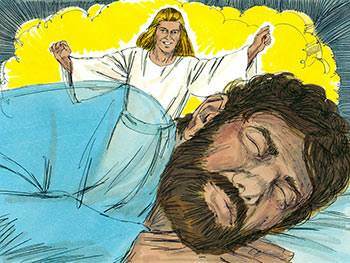 Those who are greatly used by God are those who possess a ‘servant’s heart’. But how can you tell whether you have such a heart? It’s simple: the heart of a servant is preoccupied with ministry; the heart of a non-servant is preoccupied with manipulation. Tradition states that Mary was widowed before Jesus and her other sons and daughters by Joseph grew to adulthood, and that Jesus became the head of the household, supporting them by working as the village carpenter in succession to Joseph (Mark 6:3). “Godliness”, says a Christian commentator, “is acting as God would do if He were in your shoes.” How difficult it is to see everything that happens to us from God’s perspective—but how marvellous it is when we overcome that difficulty and learn to see life from His point of view. Mary’s role as the mother of Jesus ordains motherhood, whether actual or spiritual, to be the true calling of woman and shows its great and sacred nature. In her entire acceptance she manifested the initial strength of her character. She beheld from the beginning the greatness of a divine purpose being fulfilled, and remained faithful in response as it gradually developed before her. Again, in social life, Mary took the part of service, by active kindness, and by bringing others into obedience to Christ. Thus, strong and brave under the inspiration of love, she followed to the foot of the Cross, thereby suffering to learn something of the mystery of the sacrifice which was being offered by her Son, and to offer her best also. 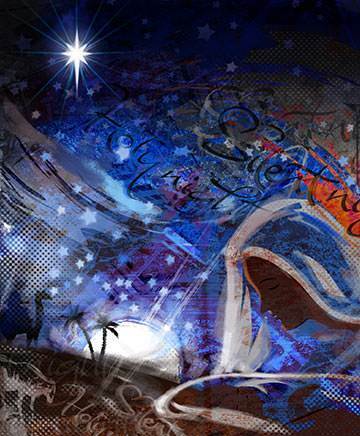 Mary, despite the unusual and unexpected things that are taking place in the life of her firstborn Son, Jesus, continues to have deep faith in Him nevertheless. 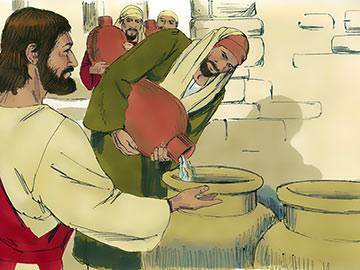 We see a glimpse of this in the words she speaks to the servants during the crisis that developed at the wedding feast in Cana: “Whatever He says to you, do it” (John 2:5, NASB). Mary continued to be a follower of Jesus throughout His entire ministry, even though at times she was greatly tested. On one occasion His friends and family tried to restrain Him over what they saw as a developing religious frenzy or madness (Mark 3:21). 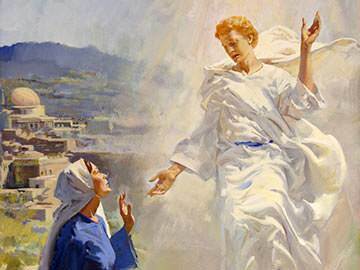 Mary sensed, however, that her Son was about the work of His heavenly Father, and was loyal to Him to the day that He died upon the cross—and beyond. At Calvary Mary experienced the fulfilment of the startling prophecy that was given to her prior to Jesus’ birth—“A sword will pierce your own soul too” (Luke 2:35)—but she stayed to watch and weep. 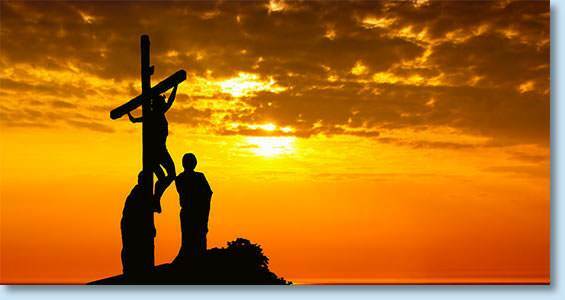 What a comfort her presence must have been to our Lord in those last hours on the cross. Give thanks for that. Imagine the pain that Mary must have felt as she saw Jesus pinned to a Roman cross. Imagine, also, the agony she must have endured as she saw the fire of life fade from her Son’s eyes, and heard His great cry of dereliction: “My God, my God, why have you forsaken me?” (Matthew 27:46). Traditional paintings show Mary receiving Jesus’ torn and bleeding body from the cross. 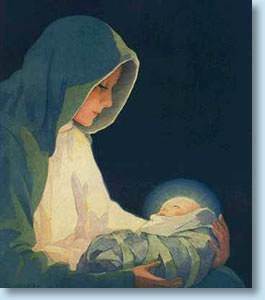 We have no Biblical evidence for this, of course, but it is reasonable to assume that Mary, loving Him as she did, would have stayed as close to Him as possible, not only in the hours prior to death but also in the hours after death. It is little wonder that history is so full of respect and adulation for a mother whose love for her Son reached one of the highest peaks humanity has ever known. 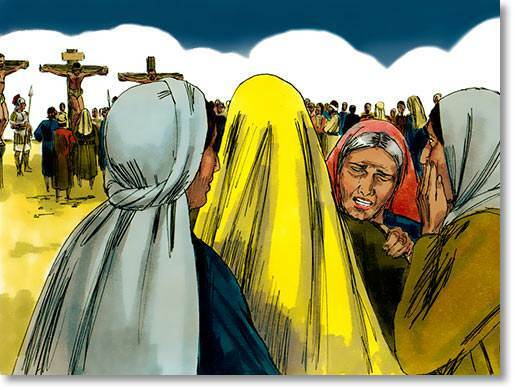 It is not every woman who could have borne the ordeal of seeing her son nailed to a cross! How revealing this is of her true character and worth. When we are willing to bear hurt rather than run away from it, it implies we are in charge of our emotions, not our emotions in charge of us. 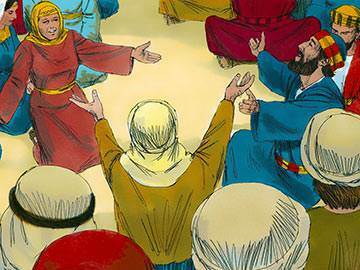 Have you received your own personal Pentecost? Are you a truly Spirit-filled person? If not, then kneel today in God’s presence and invite Him to fill you, just as He did the early disciples, until you are full to overflowing. What a model of true womanhood was Mary of Nazareth. Her simple faith in the power and goodness of God; her willing acceptance of the path that destiny had marked out for her; her belief that God would, in time, fulfil all His promises and bring to pass what He purposed—these, combined with the simple and humble duties of home, motherhood and family mark her out as one of the greatest women—if not the greatest—who has ever lived. There are many lessons one can learn from her life, but perhaps the greatest is the fact that the sadness and sorrow she suffered because of all that happened to her Son did not produce in her any sense of estrangement or alienation. The meaning of her name, as we saw, is ‘bitterness’, and all that her name meant truly came to pass. What a victory we achieve, however, when—like Mary—we use the sorrows and hurts of life to keep us close to our Lord, rather than letting them drive us from Him.